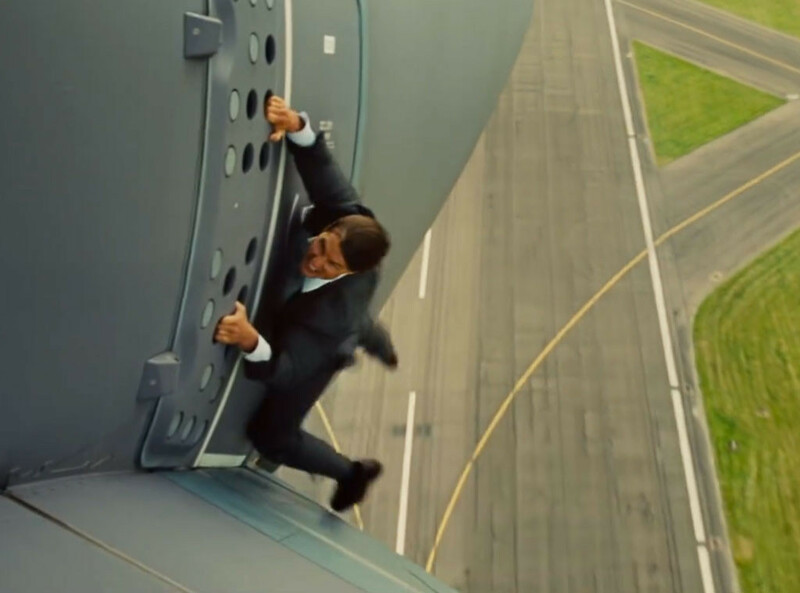 In the opening scene of Mission: Impossible – Rogue Nation, Tom Cruise’s franchise spy Ethan Hunt is seen hanging from the side of a plane as it takes off of from a private runway in Minsk. On board is a massive amount of nerve gas able to take out a large city worth of people. Hunt grapples against the hull of the plane as tech expert Benji (Simon Pegg) struggles to open the door for him remotely from a nearby grass plain.